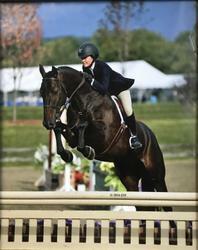 Caruso, "Rico" is a beautiful child/adult hunter. Caruso has an outstanding jump, amazing scope, and will always take you to the other side. He has shown successfully in the 3' children's hunter, equitation and medals, winning ribbons in shows such as HITS and Old Salem. He is always ready to walk into a ring ready to work and learn. 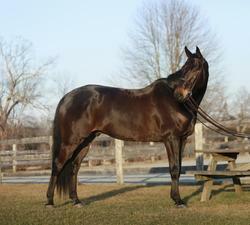 Caruso has excellent ground manners, a great personality and a pleasure to work around. Caruso is truly both a trainer and riders dream. "Maybe Tomorrow " was sold only 2 weeks after being posted. The number of calls I received on this pony was amazing. I will recommend your website to everyone.